Researchers from the University of Illinois at Urbana-Champaign were able to apply new, flexible, skin-like electrodes or sensors on the scalp to capture brain traces for two weeks. 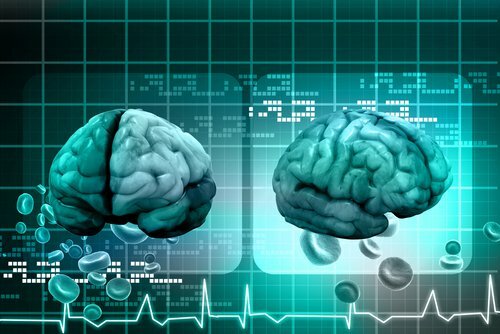 Looking to see how healthy your brain waves will be over a long period? That may be possible thanks to new material science engineering. Researchers from the University of Illinois at Urbana-Champaign were able to apply new, flexible, skin-like electrodes or sensors on the scalp to capture brain traces for two weeks. In 1924, Hans Berger recorded the first electroencephalogram (EEG). Many scientists and physicians have since used it to diagnose diseases resulting from abnormalities in the brain and research the brain in cognitive science, cognitive psychology, and psychophysiology. Some diseases that can be diagnosed with the help of an EEG include epilepsy, sleep disorders, coma, brain death, multiple sclerosis, and Alzheimer’s disease. Though there have been significant advancements in the EEG system, conventional systems still require large, bulky electrodes in order to record the brain. In addition, each electrode placed may require a conductive gel to record accurately. As time goes on, the gel will begin to dry, and the signal will decrease by up to 50 present. The gel and electrical system may even irritate the skin. Lastly, too much movement from a conventional EEG system will distort the brain measurements. The new long-term epidural (LTE) electrodes attempt to address these issues. Published in the journal Proceeding of the National Academy of Sciences, the new LTE electrodes are unobtrusive with an excellent long-term bond to the skin. They can adapt to complex surface curves like the outside of the ear, providing durability of the device. The authors report that the complete device can be stretched up to around 50 percent. The device is also lightweight and water-resistant. Subjects wore the LTE electrodes for 14 days while doing their regular activities including vigorous exercise, swimming, sleeping, and bathing. Then, they would undergo EEG experiments like a text speller with a steady-state visually evoked potential-based brain–computer interface and elicitation of an event-related potential (P300 wave). The results showed that the LTE electrodes continued to record the scalp over long periods with no skin irritation. This technology opens the doors for possible portable diagnostic practices and can be used to investigate how diseases form over time. Norton, J. J., Lee, D. S., Lee, J. W., Lee, W., Kwon, O., Won, P., ... & Rogers, J. A. (2015). Soft, curved electrode systems capable of integration on the auricle as a persistent brain–computer interface.Proceedings of the National Academy of Sciences,112(13), 3920-3925. Light, G. A., Williams, L. E., Minow, F., Sprock, J., Rissling, A., Sharp, R., ... & Braff, D. L. (2010). Electroencephalography (EEG) and event‐related potentials (ERPs) with human participants. Current Protocols in Neuroscience, 6-25.